Companies wishing to organize a conference or an incentive tour can find very good conditions in Montenegro. Montenegro offers varied scenery, as well as splendid historic and cultural heritage, combining contrasts within the smallest space. This enables organizers to create versatile fringe programs for meetings and incentives. 1. When was the Montenegro Convention Bureau established and what role does it play in the MICE industry? The National Tourism Organisation founded its own convention office together with private partners in April 2008. The Montenegro Convention Bureau supports convention planners who organize conventions, incentive tours and events in Montenegro, its function being to form an interface between customers and providers on the Montenegrin convention market. It currently has 18 members, mainly four and five stars hotels with custom-built conference facilities, as well as professional agencies to handle the organization. 2. What are the factors that make Montenegro a valuable MICE destination? Companies wishing to organize a conference or an incentive tour can find very good conditions in Montenegro. Montenegro offers varied scenery, as well as splendid historic and cultural heritage, combining contrasts within the smallest space. This enables organizers to create versatile fringe programs for meetings and incentives. 3. Can you tell us more about the investments in hotel complexes and other projects? Growing quality and efficiency, as well as high-level services and facilities, are the success factors that make the land of wild beauty a MICE destination well worth to be discovered. In order to expand the MICE market, new houses are being built and existing ones renovated. In 2008, 36 new hotels opened and increased the bed capacity by 1,870 beds. 250 million EUR of private funds are invested in new hotel complexes and for the construction of the first comprehensive holiday complex with the most modern marina, hotels, as well as shopping facilities and residences. About six billion EUR are going to be invested into the development of some major projects in the regions Orascom Lustica, Velika Plaza and Ada Bojana in the next ten years. For instance, the exclusive hotel operator Aman Resorts signed a management contract for 30 years. “Villa Milocer” – the former king’s summer residence – opened as early as December 2008. The eight spacious suites combine elegance with state-of-the-art facilities. The Hotel is part of the new “Montenegro-Resorts” of Aman Resorts, which will also include the hotel “Queen’s Beach”, as well as the adjoining island Sveti Stefan, the opening of which is planned for May 2010. Furthermore, one of Europe’s most luxurious marinas – “Porto Montenegro” – is being built in the bay of Tivat. Apart from the modern marina with more than 800 anchorages and a comprehensive infrastructure, also a golf course, as well as a residential area and a business complex are planned, within which the hotel chain “Four Seasons” will open its first hotel in Montenegro. The prestigious hotel chain “Kempinski”, too, plans to open its first hotel in Montenegro; the contract was signed in February. The hotel chains Hilton and Marriott will probably open hotels in the capital Podgorica and thus contribute to the growth of the meetings and incentives markets, and this will also boost the development of city and shopping trips. Out of a total of 60 hotels in the five and four stars category, many offer good facilities for conferences and events. The technical equipment is up-to-date and they have all the necessary services for successful meetings. In addition to desirable hotels, Montenegro will invest in modern convention centres in attractive areas. 4. Eco-tourism as a part of MICE tourism is becoming increasingly popular. Do you see here an opportunity for the Montenegro meetings industry? 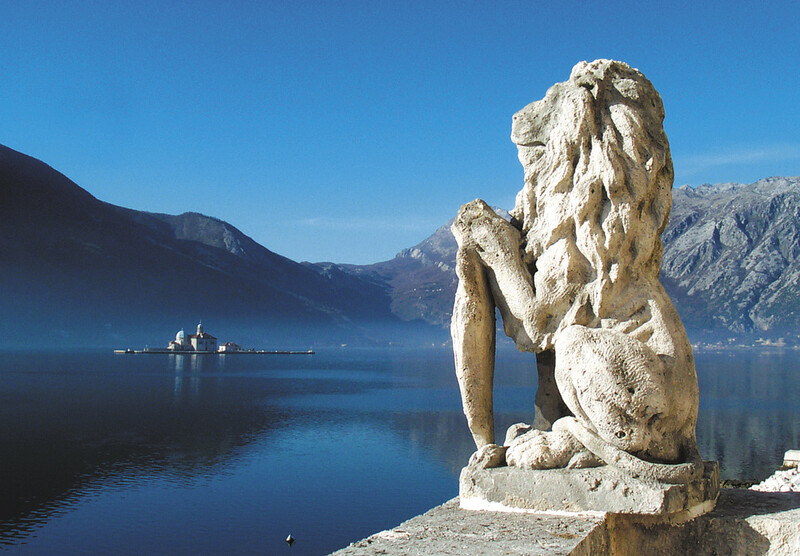 The positive investment climate and the uniqueness of the well preserved nature go hand in hand with the Montenegrins’ hospitality. These are pursued continuously, ecologically and in an environment-friendly way in the Montenegrin tourism industry. Good examples of the promotion of local architecture are eco-lodges, which are being continuously expanded, inviting guests to visit their authentic ambience. In fact, Montenegro as an ecological country is committed to preserving its wild beauty. In Montenegro you can find four fantastically diverse national parks. The addition of a fifth – the Mountain Range of Prokletije – will mean that almost 20% of Montenegrin land will be under protection. 5. What do your MICE agencies offer? Montenegro is a good address for successful incentive tours. Special agencies offer creative incentives and events, as well as congresses in this new meetings destination. Groups and companies get best information and support for their travel planning and programme. The agencies offer special combined programmes with meetings and conferences: boat trips on the Lake Skadar – the biggest inland water surface on the Balkans – paragliding, sailing, rafting, kayaking, hiking trips, canyoning, climbing, biking or sightseeing tours and sociable evenings in typical restaurants with regional cooking – Montenegro offers programmes of greatest variety in the smallest space. About a sixth of the Montenegrin coast consists of sandy and shingle beaches. In Montenegro, Europe’s longest and deepest canyon can be experienced. And the country has numerous monasteries, fortresses and medieval towns. Four national parks differ greatly from each other and invite guests to enjoy nature-based activity programmes.